A number of recent studies have linked probiotics with weight loss. Probiotics (the tiny beneficial bacteria in your gut) help in tamping down hunger cravings by keeping you satiated for longer. Probiotics also break down plant fibers in the body to release essential chemicals that aid in weight loss. Taking probiotics for gut health helps in reducing weight, especially from the abdominal area. However, unlike other nutritional supplements, probiotics should not be mixed with certain food options, like lasagna. The reason – probiotic supplements and dietary sources contain live bacteria which need to be transported in a healthy condition all the way to the gut for any visible benefits. Without the right approach to probiotics, you may face disappointment in your weight loss endeavors. Here are 4 ways you should take probiotics for maximum weight loss. Probiotics are important like every other routine supplement. Most people tend to take these microscopic creatures lightly since the supplements are not FDA regulated, yet. However, without a healthy gut microbiome, you can find it vastly difficult to shed those extra pounds. A study involving 76 sets of twins (one of which was obese, while the other was not), it was found that the gut microbiome of healthy weight individuals teem with a diverse range of probiotics. On the other hand, obese people have a severely lacking gut microbiome with high levels of harmful bacteria. The fact that friendly bacteria species have a very short life span and are eliminated within 24 hours from your body makes it necessary to take your probiotic supplements daily. 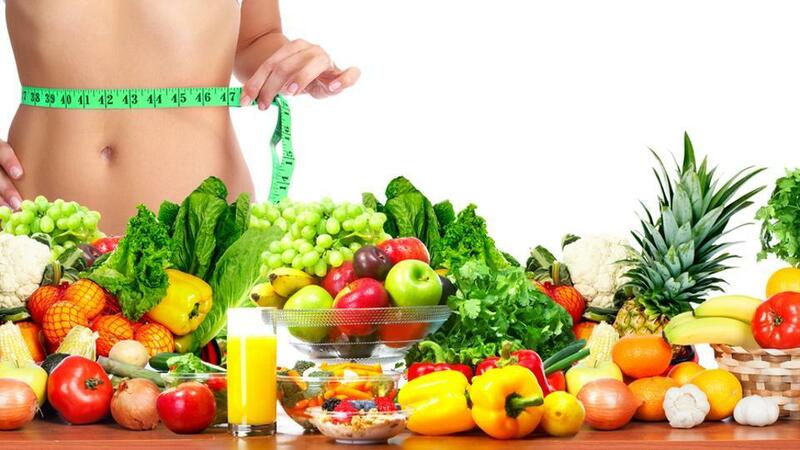 Weight loss from diet and exercise depends a lot on how quickly your body can metabolize calories and remove fat. All functions in the body run like clockwork. Hence, it is important that you take your supplements roughly the same time each day. Make sure you never mix probiotics with food. You can either have your pill before or after your meal. Probiotic strains are particularly sensitive to extreme heat. Hence, don’t mix it with hot food, beverages or water. Best results for weight loss come from having probiotics right after your first meal of the day. This allows the probiotics to actively infiltrate your intestines and break down food molecules. While it is important to never miss out on your probiotic supplement designed specifically for weight loss, you can always give the pills a helping hand by including healthy, fat-free probiotic enriched foods to your meals. There are many foods that are beneficial for weight loss (such as miso soup) while being a potent source of beneficial bacteria as well. Lactobacillus acidophilus, Lactobacillus rhamnosus and Bifidobacteria are found to be some of the most efficient strains aiding in weight loss efforts. Bifidobacteria helps digest plant fibers in the colon to release specific short-chain fatty acids, such as propionate and butyrate. These chemicals help release certain hormones, like GLP-1, leptin, and peptide which sends fullness signal to the brain. This prevents weight gain while aiding in losing the extra pounds. Probiotic foods like natto, tempeh, sauerkraut, and low-fat cheese are particularly good sources of many different strains of bacteria. It is difficult to have complete control over probiotic strains where naturally fermented foods are concerned. Hence, while on a weight loss spree, try to eat as much home fermented food as possible. Keep away from probiotic rich beverages, such as kefir water or kombucha tea, since these use cane sugars and other sweeteners to begin the fermentation process. You can also indulge in the occasional dark chocolate sliver or low-fat unsweetened yogurt. Dietary fibers have time and again been proven to assist with weight loss efforts. In fact, most nutritionists will recommend devouring as many different kinds of salad vegetables as humanly possible, while on a diet. The science behind fiber helping lose weight stems from probiotic reactions. Most plant fibers are indigestible to human beings. Instead, they are fermented and broken down by probiotics in the intestines to gain nourishment. In the process, probiotics release chemical substances which aids in nutrition absorption. Additionally, probiotics also release certain essential nutrients while breaking down fibers, such as vitamin C and vitamin K. These nutrients are vital for healthy metabolism. While all kinds of plant fibers are good for probiotics and weight loss, a special fiber called prebiotic fiber are especially helpful. Prebiotic fibers are specifically broken down by probiotic strains in the body for nourishment. This helps probiotics gain an upper hand in the gut microbiome by essentially crowding out harmful pathogens. Certain studies have proven that sugar cravings and hunger pangs stem from harmful bacteria species releasing dopamine (the reward hormone). This hormone makes you want to eat more to prolong the feeling of accomplishment. With prebiotic fiber in your diet, probiotics can flourish and release lactic acid to make your gut inhospitable for harmful microbes. Probiotics with prebiotics create a symbiotic relationship which improves gut health and ultimately leads to reduced intake of food and weight loss. When your gut microbiome is dominated by friendly bacteria, there is reduced occurrence of inflammation in the body as well. Jerusalem artichoke, dandelion greens, onions, garlics, bananas, oats, and asparagus are some potent sources of prebiotics. Try including as many nuts, seeds, and legumes as your weight loss diet allows. This will allow you to enjoy a helping hand from probiotics in your get-in-shape efforts. There are lots of foods that taste better when eaten in pairs, but by pairing probiotics with certain nutritious foods, you can double your efforts at losing weight. You can also gain maximum nourishment by getting your probiotics from a yogurt-protein powder smoothie or an oats + probiotic powder granola bar. Antipasti plate with fermented green olives, soft age cheese, flax crackers, and roasted veggies, like asparagus is also a great alternative. Try to look for unique options in your particular diet. Speak to your health expert for pairing probiotic foods. For instance, you can have cottage cheese and crackers as a probiotic and protein rich snack or dip an apple slice in homemade sauerkraut brine for some sourness.